A partnership between HCPSS and Howard Community College to expand options for students to gain college credits, explore possible careers, or earn an associate degree. Expanding options for students to develop skills, earn college credits, and become college and career ready. The Howard County Public School System (HCPSS) is pleased to provide several options for students to take advantage of dual enrollment with Howard Community College (HCC). These programs are designed to give students a jump on their college education and prepare them for a career by earning industry certifications. Students at every high school can earn college credit this fall through the JumpStart program, a partnership between HCPSS and Howard Community College (HCC). In addition to selected courses offered at HCPSS schools, many introductory and advanced courses in the arts and humanities, business, and social sciences, math, world languages, science and technology may be taken at HCC. More than 100 of these fulfill high school graduation requirements. The HCC fall semester begins August 25, prior to the HCPSS first day of school on September 4. Begin the application process today, and talk with your school counselor and an academic advisor at HCC about which courses might be right for you. JumpStart consists of two primary groupings: a flexible option for high school students of any grade level and a structured option for rising 9th and 10th graders who are able to plan ahead and commit to an accelerated program of study. Explore careers and interests, gain exposure to college coursework, and increase college success. Take one or more classes per semester, at your high school or on the Howard Community College (HCC) campus, with the option to attend HCC full time during your senior year. Take HCC courses, taught by college-qualified HCPSS faculty, while earning college credit and meeting high school graduation requirements. Access all of HCC’s campus-based resources. Who? All HCPSS high school students. Where? Classes are taught at all high schools and vary by location. More options are available at Oakland Mills High School and River Hill High School. Take one or more college courses at HCC and earn credits toward your college degree. Some credits may also count toward high school graduation. During senior year, you may be eligible to enroll at HCC as a full-time student. Talk to your school counselor for more information. Who? All HCPSS students in 11th and 12th grade. Admission for eighth to 10th grade students will be considered on a case-by-case basis. Get on the fast track for advanced education by making the commitment to an Early College program starting in ninth or 10th grade. These programs combine high school-based and HCC campus-based dual credit for a structured pathway to high school graduation. 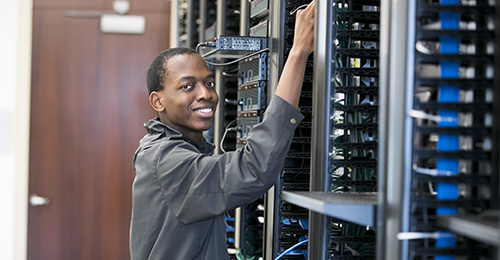 Choose from associate degree track programs in STEM (science, technology, engineering, mathematics), cybersecurity, computer science, criminal justice, entrepreneurship, general studies, secondary teaching, public health or health sciences. Graduate from high school with 30 college credits or more. Complete your associate degree at HCC within one year of high school graduation, or transfer credits to another higher education institution. Who? Rising ninth or 10th grade students who can commit to an accelerated program of study. Where? River Hill High School, Oakland Mills High School, and in cybersecurity at the ARL. Earn an Associate of Arts (AA) degree in general studies from HCC, while earning your high school diploma. Who? Rising ninth grade students who can commit to an accelerated program of study. Where? Oakland Mills High School and River Hill High School. Compare the four program alternatives, experiences and opportunities each provide. Courses taught at HCPSS have all the rigor of the college course. Courses taught at HCC utilize collegiate labs and resources. * Admission for 8-10th graders is on a case-by-case basis. JumpStart students are able to earn college credit at a greatly reduced price with students receiving Free or Reduced-price Meal services (FARMs) being only responsible for covering fees and books. Note: HCPSS students are not eligible for federal student aid. All JumpStart Students — Tuition is discounted 50% off HCC’s tuition costs. JumpStart Students Receiving FARMS — Tuition is waived for all courses. Additional fees (approximately $75 per course) and textbook costs ($250 per course) apply. Assistance may be available for students receiving FARMS. HCC’s current academic year tuition rates and fees are available at howardcc.edu/pay. Tuition costs change annually. The program options available for the 2018-2019 school year are viewable below by clicking on the arrow or school name. We anticipate having additional options for all high school students in the future. Note: The Early College Program is 30 credits. The Associate degree is 60 credits. Together with school counselors, students will select courses toward high school graduation requirements. Beginning in students’ 10th grade year, HCC advisors will help students determine which HCC course offerings will best meet their degree requirements and maximize transfer opportunities. These are suggested progressions which represent the most direct route for certain programs at certain institutions, but students’ individual course selections may differ due to their readiness, goals, or interests. Consult your school counselor and/or HCC advisor before making your course selections. What is the requirement for JumpStart students to earn college credit? Any student may apply to any high school-based JumpStart course. In order to register for dual credit with HCC, students must have at least a 2.0 unweighted GPA; some courses have additional prerequisites. College (dual) credit is awarded upon successful completion of the course. What is happening to the structured programs at Oakland Mills or River Hill? Am I required to attend HCC after graduation? While these programs provide a clear path for graduating high school students to complete their associate degree at HCC, the earned college credits can be transferred elsewhere. Will college credits earned at HCC transfer to a four-year college or university? HCC credits will transfer to Maryland public four-year colleges and universities and most private and out-of-state colleges and universities. See an HCC transfer advisor to plan which courses will be right for you. How does the Maryland Promise Scholarship impact JumpStart Dual Enrollment students? JumpStart Dual Enrollment students are not eligible for the Maryland Promise Scholarship, as it is only available to high school graduates. This scholarship does not make community college free, but it can help some students have a more affordable community college education. For complete details, please visit HCC’s Maryland Community College Promise Scholarship page. Do I have to provide my own transportation to HCC if I elect to take courses there? Daily shuttles run to HCC from the ARL and Oakland Mills. Given sufficient demand, shuttles may also run from Centennial, Howard, and River Hill High School. We relocated to Oakland Mills High School or River Hill High School last year. Will I still have transportation to my school? Yes! Your collector stops will continue to transport eligible students to OMHS and RHHS. When students transfer to another high school for JumpStart, what is considered their home school? Students who transfer become full participants in their new school, with eligibility to participate in sports and other extracurricular activities, such as Model UN or Career and Technical Student Organizations.